The universe of people who get their groceries delivered now vs. 2012 has increased; however, it’s still a small number who shop online exclusively. You can see more and more people moving to handle what we call ‘Replenishment’ purchasing online. Dog food, toilet paper. Things you don’t really want to carry home. Low emotional value products. But there are some things that research says they’re resisting. Clearly the future of brick and mortar retail is going to be more about the perimeter of the store; fresh food and home meal replacement solutions like the uber-popular meal kits in untold varieties; as well as signature items that customers fall in love with and can’t find anywhere else. That and home delivery of course. 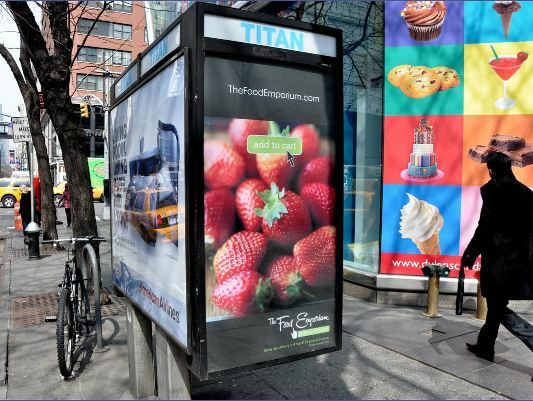 Back in those early days of 2012, when there was tons of proclamations and crystal ball gazing going on, we were asked by a bold client, Food Emporium, an operator of gourmet food stores exclusively in Manhattan, to help them launch a new online home delivery project. There couldn’t possibly be a better target than New Yorkers, who have tiny kitchens and no cars. At the agency, this was exciting, heavy stuff; to be on the leading, bleeding edge of the e-comm revolution. We were helping people get food brought to them with a click mouse. Yes, they were more innocent times. The launch campaign we put together, which we hope you’ll agree, was brilliant, focused on ease, speed and convenience. And it spoke cleverly to those urbane New Yorkers. 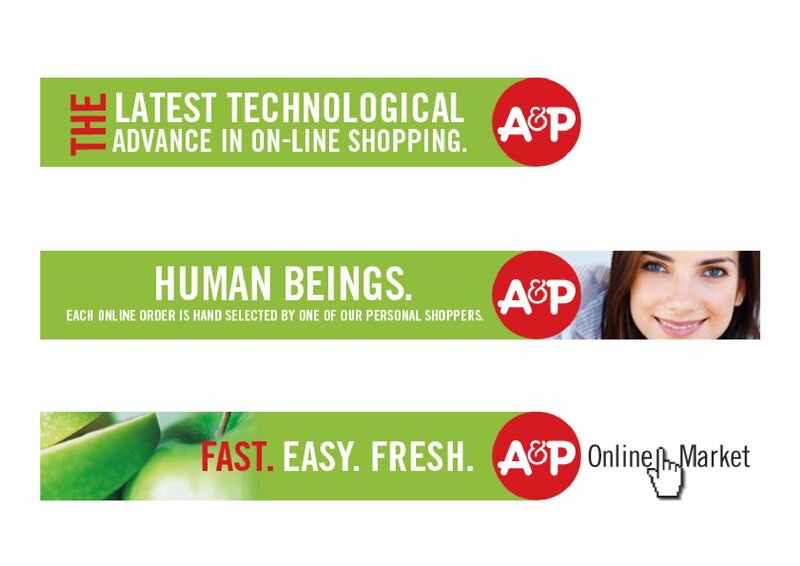 At about the same time another client in the region, A&P, was toying in the suburbs with another concept: order groceries online and we’ll pick them for you and have them ready when you pull up. This was operationally more complex than Food Emporium, but fun putting it together because we were basically talking to people who were already in the store. Home delivery wasn’t even an issue. As you can imagine, there was more than a little technical shakiness at the start of these initiatives. But we optimistically stood by, waiting for the onslaught of big, fat, profitable online orders to break the Internet and clog the back ends of the stores. Then orders started to trickle in after the first few weeks. Bless those early adopters. They tended to be as you might imagine, highly educated with higher income. Shoppers you’d love to keep happy. However, even with ample promotion and awareness building, it became obvious that this was a fabulous idea—that was a few years before its time. There was no way to look at online sales compared to those that came across the threshold and call them anything but miniscule. Just six years later, no one is calling online sales miniscule any more and every retailer on the planet is rushing to hold on as much market share as possible by rolling out online options. But looking back, you can see the basic premise remains the same: would you like someone else to do the heavy lifting? Make your life a little easier in a small but powerful way? If you’re a retailer readying a new online initiative, we’ve got some ads for you.